Eyelid problems (Blinking spreads a continuous thin film of tears across the surface of your eyes. 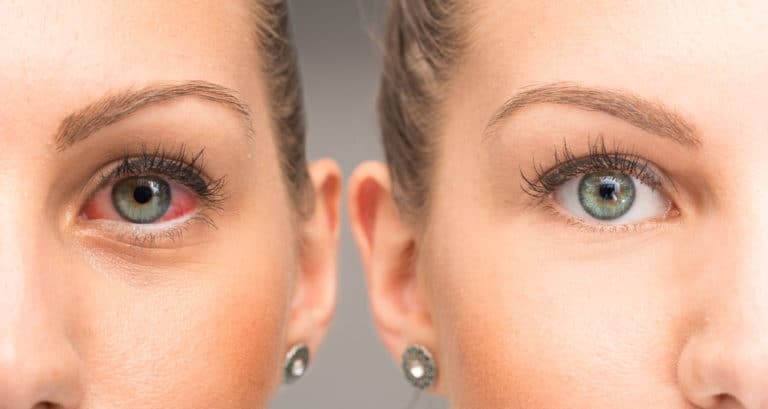 If you have an eyelid problem that makes it difficult to blink, tears may not be spread across your eye adequately or your tears may evaporate too quickly, causing dry eyes). Medical Conditions (such as diabetes, rheumatoid arthritis, lupus, scleroderma and thyroid disorders). Tasks that require enough concentration that you blink less often, such as working at a computer, driving or reading. Measuring the volume of your tears. Your doctor may measure your tear production. In this test, blotting strips of paper are placed under your lower eyelids. After five minutes your doctor measures the amount of strip soaked by your tears. Determining the quality of your tears. Other tests use special dyes in eye drops to determine the surface condition of your eyes. Your doctor looks for staining patterns on the corneas and measures how long it takes before your tears evaporate. Because doctor appointments can be brief, and because there’s often a lot of ground to cover, it’s a good idea to be well prepared for your appointment. *To relieve your signs and symptoms while you wait for your appointment, try over-the-counter eye drops. Look for lubricating eye drops and avoid those that reduce redness in the eyes. Eye drops that reduce eye redness can cause additional eye irritation.